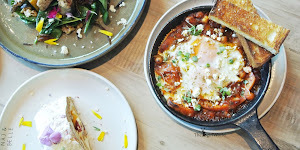 I am back for my travel blog, this is my first post to kickstart my South Korea trip. 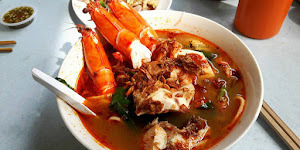 Hmm...well~ actually the weather ruin my itinerary so i couldn't manage to go all the places that i wish to go. I decided to start my first post with "Hanbok" as this is the shorter post, LOL! 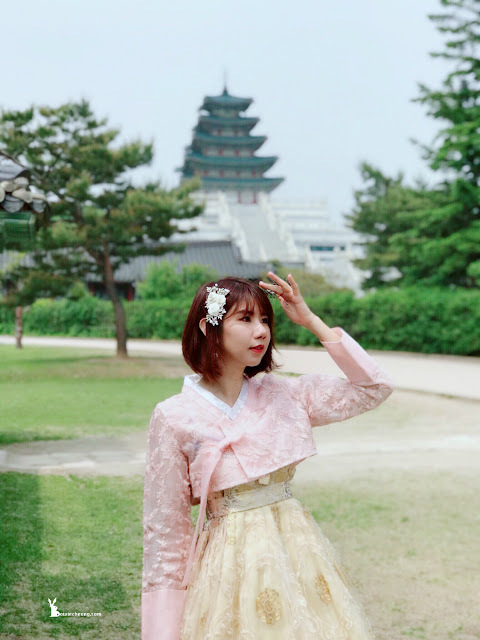 The term ‘Hanbok’ literally means “Korean traditional attire” from the Joseon period, Hanbok remains an exquisite cultural heritage for its historical value and uniquely Korean artistic significance. 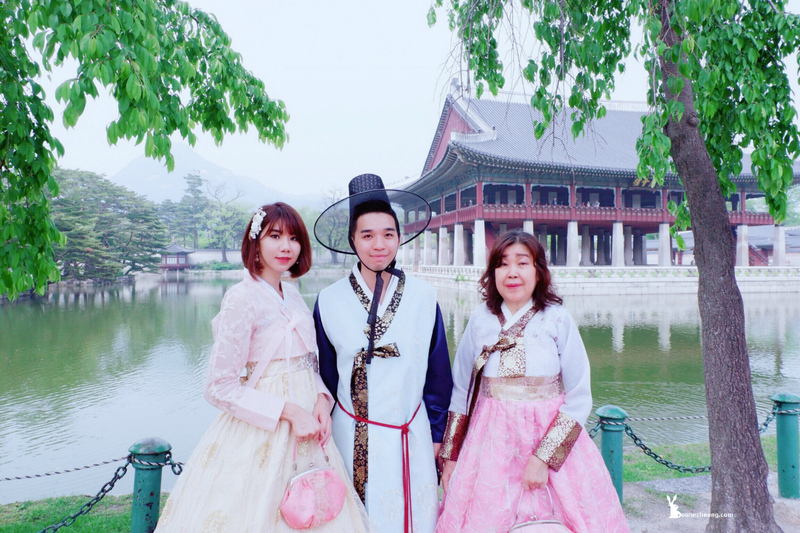 For those who doesn't love to take portrait photography, may be you don't think that is a good idea to try Hanbok during your trip as it just wasting your time, may be you thought the palace is too boring. 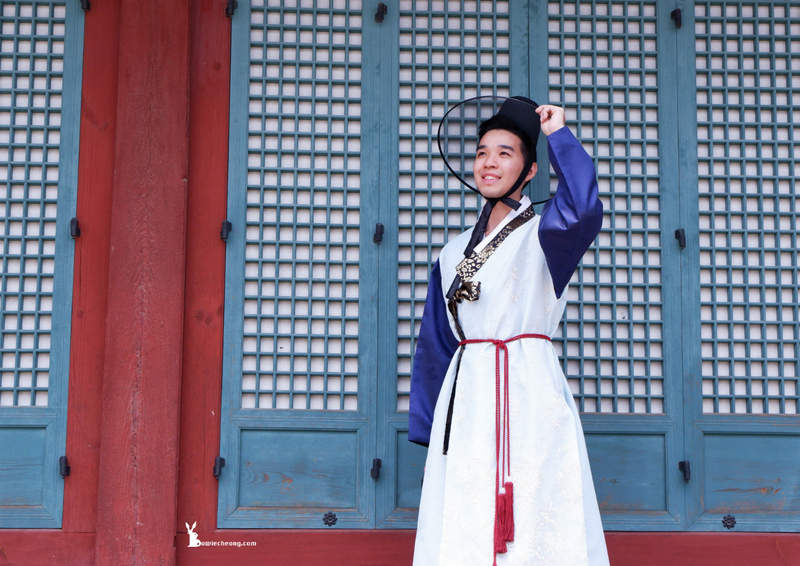 But i can tell you that Hanbok is one activity in Seoul that you absolutely must NOT miss! 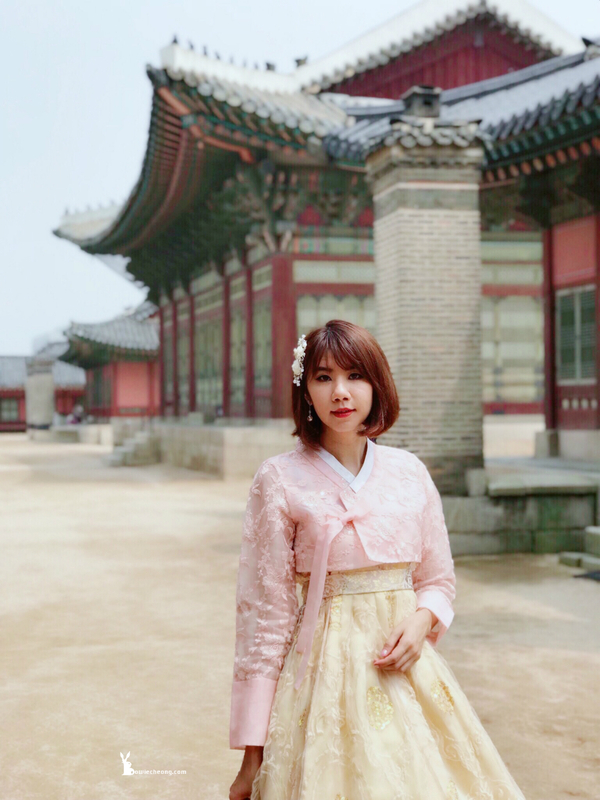 Can you imagine how beautiful of Gyeongbokgung Palace really is when you wear the elegant Korean traditional clothing at there and take a photo? You'll want to bring back some evidence of your latest trip but definitely not a common boring vacation photo. Here are some tips to capture beautiful photos in cultural/ heritage highlights, you will feel fascinate with great photography taken in that areas. I had my first Hanbok rental experience in this South Korea trip, and it was one of the most amazing things that I did in my trip! You can rent a Hanbok for a day while you venture out to the cultural centers in Seoul to snap beautiful photos. 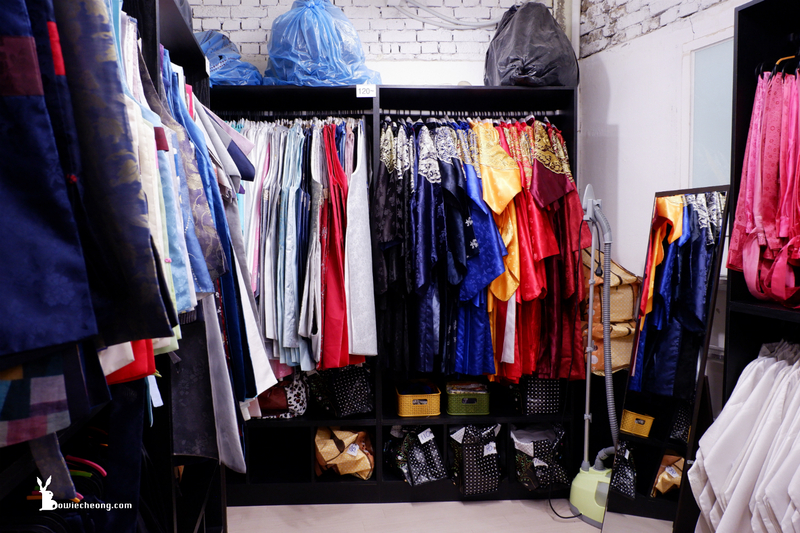 Much like Japan has kimono rental shops, South Korea also has a lot of Hanbok rental shops for tourists and the price is much cheaper than rent a kimono at Japan! I rent the Hanbok together with my sister and mother at Oneday Hanbok. 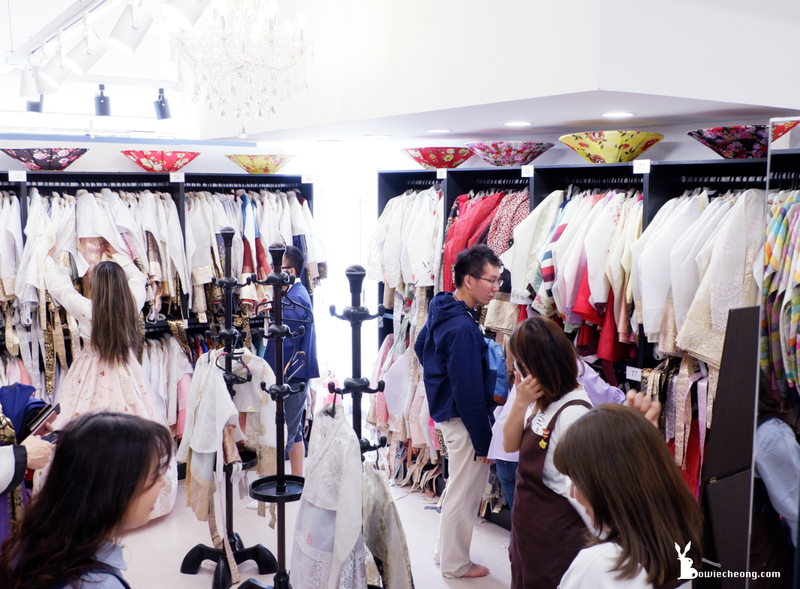 Apart from its prime location, it has various types of Hanbok in varying sizes [male (S~XL), female (XS~XXL)]. Additionally, Hanboks for children are also available. These intricately-designed hanbok garments are set at an affordable price. 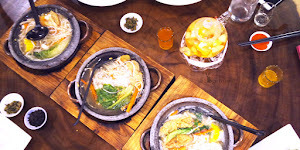 Step 1 - Plan your own Hanbok experience session and choose your preferred Hanbok location around South Korea. Bowie's Tips : Do note that special benefits such as discounts and free entrances are available at selected places (i.e. royal palaces in Seoul or the Korean Folk Village in Gyeonggido). Most palaces and city highlights are closed on Mondays and Tuesdays, so it’s best that to do your rental on Wednesday to Sunday. To me, i also did weather forecast search on the date i want. I'll cry if the day is thunderstorm, LOL! Step 2 - Book your Hanbok fitting with Oneday Hanbok, email your booking details (Name, Date & Time, Number of people) to onedayhb@naver.com, a confirmation email will be sent to you thereafter. 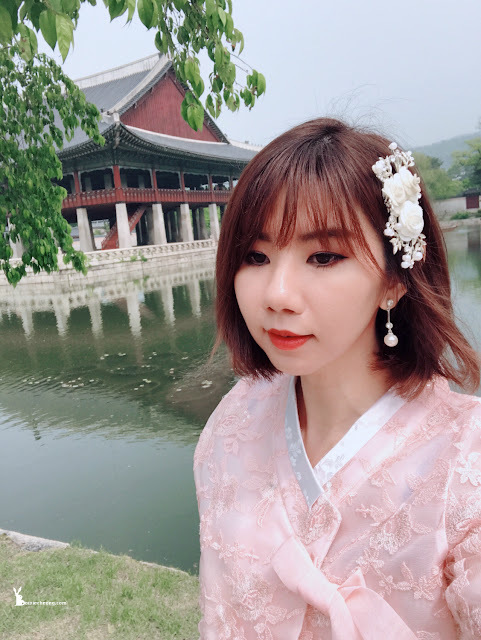 Bowie's Tips : Try not to set your appointment at noon because you took a while choosing your hanbok attire, then spent some time to walk to the palace and take photo. 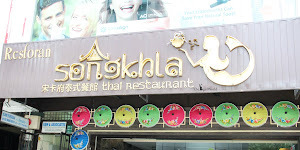 You have not enough time to explore some other places in the day, if you done your Hanbok fitting at noon. * I would recommend you to make a booking in order to have priority when you arrive at the shop. Step 3 - Choose your favorite Hanbok and free accessories upon arrival. Take one of Oneday Hanbok s free tote bags and put all your valuables such as camera and money, then leave your bulkier stuff with the store and they will keep it for you. Bowie's Tips : As all the designs are subject to availability, so i suggested you should go at early time to avoid your favourite Hanbok has taken by others, you’ll have more hanbok designs to choose from and there won’t be too much of a crowd yet either. You will need to do your own hair and makeup. Step 4 - Sign the Hanbok rental contract form, pay Hanbok Rental Deposit of 50,000 Korean Won per Hanbok and leave a valid passport. 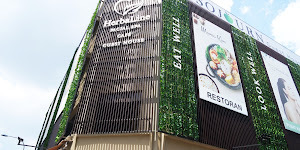 It’s time to enjoy your Hanbok session at your preferred location. Then return your Hanbok, don't delay your Hanbok return as you will be charged on penalty. Remember collect back your deposit, passport and bulkier stuff ! The staff at Oneday Hanbok were friendly and patient, most of them know to speak in Chinese and English. Overall, the process from “check-in” to “check-out” was hassle free. Please take note that you will have 2 fitting chances only, but no worries because there will have a staff standby to assisting you. Unlike to Kimono rental, shoes are not provided for Hanbok rental. Basically your shoes won’t be seen since a hanbok typically goes over your shoes. But unfortunately i am too tall, so you will realised that i "crop" my feet at all photos hahaha! I will highly suggest that wearing your most comfortable shoes because you’ll likely doing a lot of walking to the place you want. 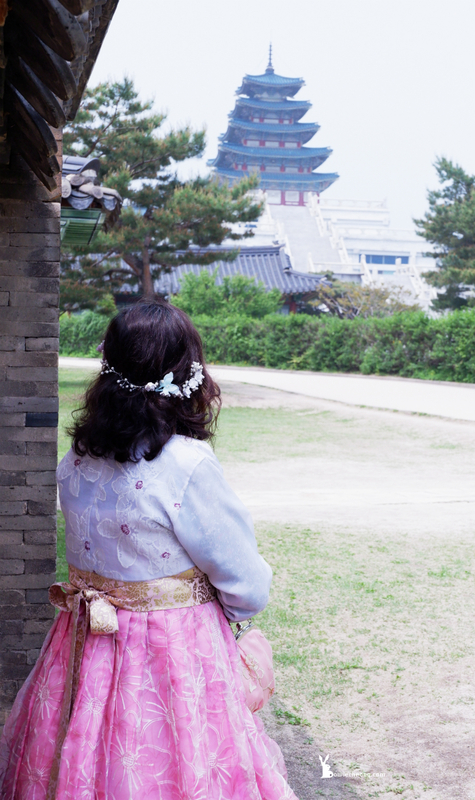 Gyeongbokgung is the closest palace from Oneday Hanbok. If you only managed to go one palace during your Seoul trip, I propose to go there because it is the main, the largest and the most beautiful royal palace. Truly have a blast capturing Instagram-worthy snaps of Seoul while exploring the magnificent sights of Seoul with traditional Korean garb. I feel like I am an ancient Korean noble who have been transported back to the Joseon period or a character in the royal K-drama, love it so much! I hope this post is really useful for you. For my next travel post, I will summarise my itinerary with highlights in my Busan + Seoul trip. That's all for today, xoxo.